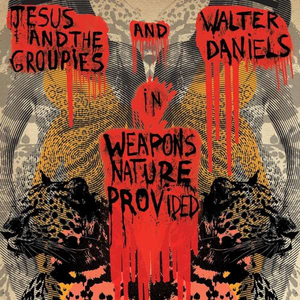 Jesus & The Groupies are a stripped down duo that use the Delta blues & punk music as part of the recipe that brings some serious electric boogie to the stage and to their recordings. Formed by Marco Butcher (vocals, guitars & drums) and Luis Tissot (guitars, drums & loops), Jesus & The Groupies have released a bunch of singles from various European labels as well as two previous albums: "Black Heart Industry" and "Hot Chicks & Bad DJs". 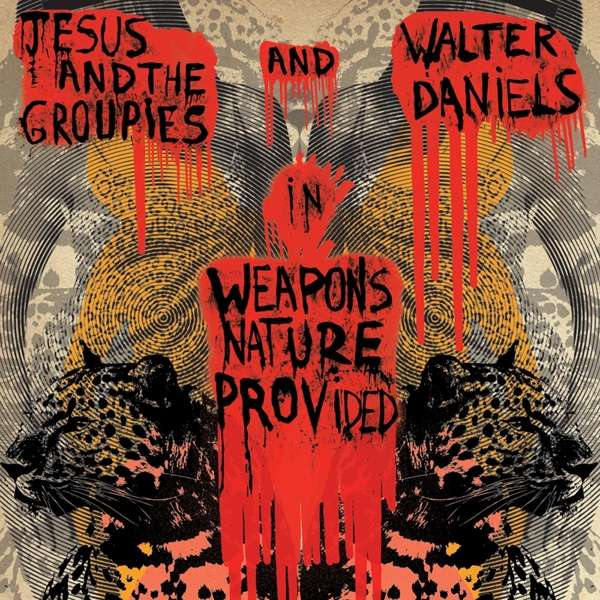 For "Weapons Nature Provided," their blazing third album, the duo decided to take it a step further and invite the punk master of blues, the boss of a unique harmonica and singing style, the legendary Walter Daniels to get on board! Adding their magic touch along the way, "Weapons Nature Provided" was blessed with a dream team cast of artists: Texacalla Jones (Tex & The Horseheads), Mike Mariconda (Devil Dogs & Raunch Hands), Chet Weise (The Immortal Lee County Killers), plus Gary Lindsey, Greg Justus, and David Duet. This jaw-dropping ensemble brings you a dangerous, slick, and controversial, boogie supreme slice of wax that will provide some swank and swagger to your stereo.